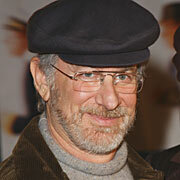 "I dream for a living" -Spielberg. Good for him, the rest of us struggle. A field covered in the dead corpses of projects that faltered, fell and faded. You have to believe in the impossible. To make a living in the movie industry is to do the unrealistic, to pull magic out of a hat when you don't even know what a hat is. Advice is wonderful; write every day, write only when inspired; dedicate all waking hours to film, dedicate all waking hours to life and living; work for free to prove your worth, charge lots to prove your worth. Advice is great but however you do it, you end up time and again with nothing except a heap of battered-beat up experiences to share in some coffee house with a friend. But at least you have those experiences. The work of successful artists is painted with a hundred failures. Everyone I know goes to bed at least six nights a week struggling with the dark knowledge that the goals we set for ourselves and the promise we've shown has lead to not much of anything at all. And the real world has questions. The values set by the Western world are: how much money did you make? Did you win the award? Are you famous yet? In some alternate reality someone asks; did you enjoy it? Did the project fulfill your ambitions? Did you manage to produce what was in your heart? Not in this world, not yet. The worries of the artist are small compared to the real world issues of bills, poverty and war. But art makes the journey worthwhile. The song at your wedding, the movie you watch every Christmas, the poem you have pinned up in the kitchen. I'm not saying they're everything but they're a huge contribution to society. We need to cherish the artists. They drive themselves mad as hell insane, just to produce something. Producing magic is the dream, producing something adequate is a miracle. The successes failed again and again too, right up until they hit the jackpot. When I interviewed Lawrence Sher he told me how he was earning $7000 a year and struggling like crazy. Then it changed. The last few years he's been DOP'ing films like 'Due Date' and 'The Hangover', he's one of the most sought after guys in the industry. Scott Rosenberg told me that he wrote ten feature films before he got an agent. He wrote four more before something got made. How close are you to giving up? How close are you to succeeding? The margins are small. As Pacino said in 'Any Given Sunday': "It's a game of inches...". Sometimes people put us down when we want to reach for the stars. Other times people want us to reach for the stars and we're too busy putting ourselves down and dwelling on failure. Sure, you're failing. Everyone's failing. You have thousands of people for company. But you've trained yourself in your art for years; we improve, we get better. Sometimes you reach people, sometimes you get the big cheque. But not if you quit or cave. Good luck, we're all in this thing together. The six inches in front of your face." Wow this post is really something kid! I got a print offer from a top Random House imprint last year, only to have it rescinded before contract signing. I swear, the longer I write, the more 'rage' becomes a legitimate motivator. Yes! Thanks for validating my "alternate reality." It's people like you who have helped people like me decide to just try. Whether what is produced commercially or not is not as important as trying to make something you are proud of over and over again. It's something I'd put to the back of my mind for so long but which is most definitely at the forefront now, so thank you.